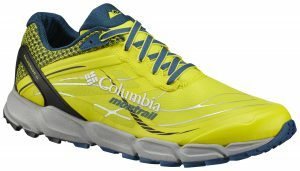 We’ve been running in the Columbia Montrail Caldorado III trail running shoe for the last month; it’s bright yellow and looks awesome… but how does it perform? The Cadorado has been designed as an all-round trail running shoe combining support, comfort and protection in a light and responsive package. 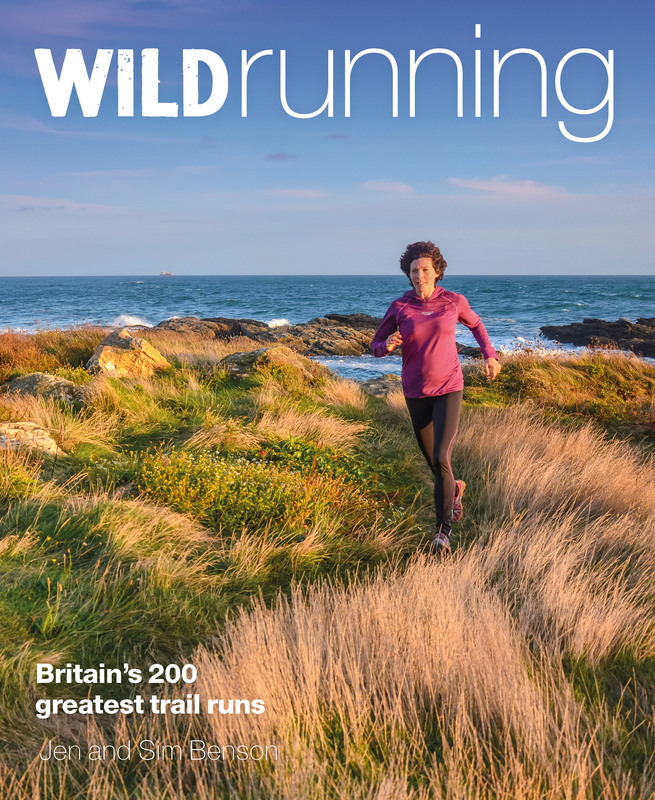 It’s available in men’s or women’s specific sizing; a limited edition UTMB colourway; or a waterproof version for £135. Straight out of the box this is a comfortable shoe: the upper is made from a seamless, abrasion-resistant and slightly stretchy foam material making for a really good foot-hugging fit. Without lacing them too tightly they give great support without feeling like they’re interfering with your gait too much. 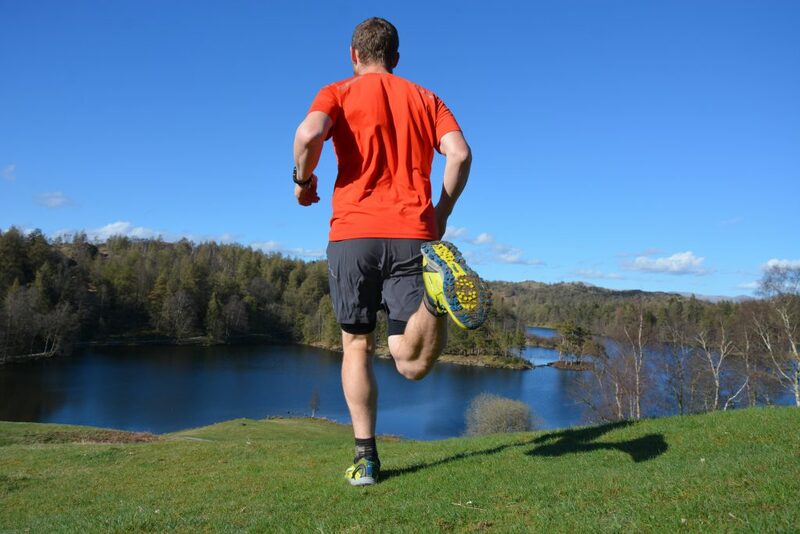 The sole is flexible and the ride is smooth so they’re great for running on gravel, dirt, grassy trail or even road. 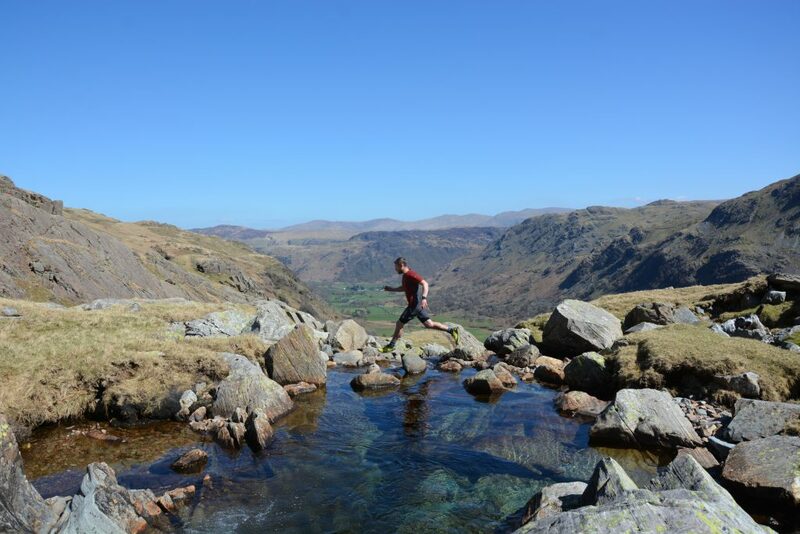 Despite having a rock plate in the forefoot, however, they don’t offer much rock protection and the grip is too shallow to cope with much – overall they’re excellent as a trail shoe but not designed for the fells. The fit is on the large side; I’m normally UK11 in Inov-8, Salomon, Adidas etc. but the UK10.5 is perfect for me. The width is a reasonably standard fit, and the stretchy upper fabric would accommodate a wider than average foot comfortably but the heel will still hold the foot securely. The 8mm heel to toe drop is responsive and supportive without being too minimalist, coping well with longer runs but still giving good ground feedback at full speed. The rubber toe bumper protects the shoes and your feet inside them but doesn’t alter the flex of the shoe or create any rub points inside. We didn’t test the waterproof version but the shoe is available with an OutDry Extreme exterior membrane. This increases the weight a little and makes the upper slightly stiffer. The fit and sizing is the same. Columbia Sportswear started as a hat company in Portland, Oregon over 70 years ago. It’s still a family business, headed for the last 40 years by “Tough Mother” Gert Boyle whose mission is to keep active outdoor people warm, dry, cool and protected. 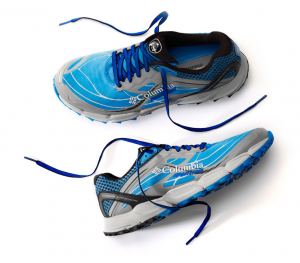 Montrail, known as one of the original trail running brands, has been making footwear since 1982. They joined Columbia in 2006 and have been collaborating ever since. Columbia has a clear corporate responsibility statement that breaks down its operations into product, manufacturing and community and listing the steps taken to improve sustainability and welfare. An excellent trail shoe. Not for muddy fells or sharp rocks but brilliantly comfortable for long days out on hard-pack trails – and we love the bright yellow colour!